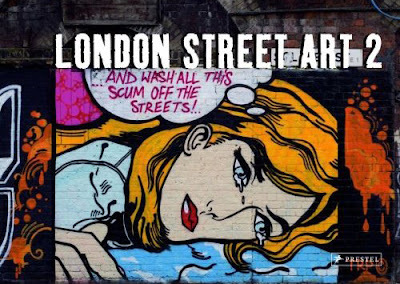 On the heels of its hugely successful predecessor comes London Street Art 2. Photographer Alex MacNaughton continues to traverse London’s streets capturing the most striking and unusual art works. With a map showing the route taken when photographing the images, readers can follow Alex’s suggested tour, or make their own with a pocket-sized exhibition catalogue in hand! From the tree-stump monster of Hampstead Heath to the chewing gum miniatures of Muswell Hill, the boldest, zaniest, and most unusual art has been captured. Featuring 150 new images all taken in 2007, political, funny, angry and some just plain weird, London Street Art 2 sees the continuation of a series that provides a platform for some of the most current, exciting and fresh urban art forms in the world.